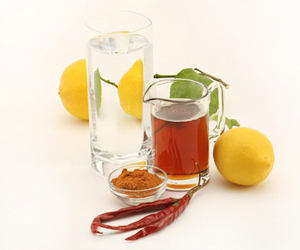 A majority of master cleanse diet advocates agree that this detoxification diet is not for the weak-willed individual. Even for the very determined person, the lemonade diet can have it’s moments of difficulty. However, when all is said and done, the lemon diet may be one of the best things you can do for your own health & well-being. Many of us adhere to a less than wonderful diet regimen, and we are not fully cognizant of what goes into our bodies. Fast food, junk foods, artificial chemicals, alcohol, tobacco, and other unhealthy vices abound. These bad habits have become a normal part of life for a great deal of society. For those who have gotten this far and still are determined to move forward, read on. Below we will share with you 10 master cleanse diet tips that will help you succeed with your cleansing. 1. Stick to A Daily Routine – It’s important when cleansing to be stringent, and not only about your diet program. Following a daily routine will help you maintain self-discipline. This includes waking up at a specific hour and going to bed around the same time each evening. It may seem redundant, but this will help the whole process in the long haul. 2. Get Enough Rest – There is little else as crucial as “sleeping well” while detoxing. A good night’s rest not only helps rejuvenate the body & mind and gives the immune system a jump-start, but it also keeps you from feeling fatigued the next day. Many people quit the master cleanse early complaining exhaustion was the reason they threw the towel in — especially in the beginning. For approximately the first 1-3 days of the cleanse, the body is getting used to absorbing nutrients in liquid form, as well as, eradicating toxins. It is normal to feel slightly tired. Maintaining adequate rest at night (preferably a full 8 hours or more) will aid in keeping this at a minimum. Most people exclaim that they are full of energy & life after “The First Phase of Cleansing or Day 3″ concludes. 3. Participate in Activities – It is important to stay occupied while cleansing so you do not deter from the regimen. This does not mean go to the gym and participate in a heavy work out session. Non-strenuous exercise, going for a walk, chatting with a friend, performing sports, reading, writing, meditation, yoga, or watching a movie are some great options. 4. Keep Enough Lemonade Available – Another reason many people opt out of the lemonade diet early is because they did not prepare enough of the lemonade diet beverage in advance. Making a daily 8-12 servings before embarking on your day is suggested for those with a busy lifestyle. Keeping a full sports bottle container by your side throughout the day is strongly advised. You should sip on this regularly. In case you forget to drink enough, a spoonful of syrup can help tide you over. 5. Stay Hydrated – This is of great significance to the detoxification process. The goal of the master cleanse is to eliminate as many toxins as possible, which have for years accumulated in the body’s organs. When you are dehydrated, it is hard for your body to release this build-up through the urine, colon, and bloodstream. This is also one of the main reasons that people commonly succumb to having headaches and fatigue. Toxins cannot be dispelled of without adequate hydration. On account of this, oftentimes cleansers feel as though it’s necessary to quit early. 6. Join a Support Group / Cleanse with a Friend or Family Member – Having people around you who know exactly what you are going through can help immensely to stay motivated. For those who can’t find a friend or family member to join them on this journey, there are many master cleanse support groups online. You can share your good experiences, as well as, your not-so-good ones, and gain support from those who can relate. This can be exactly what you need to keep you moving onwards for the full duration of the cleanse. 7. Don’t Keep ‘Cheat Food’ in the Kitchen – Get rid of that stash of Chocolate Chip cookies before starting the master cleanse diet. Nothing makes it harder to stay on the right track than having the constant temptation of junk food luring you in. Do your best to clean out the kitchen and toss away/give away these cheater foods before starting any detox program. 8. Avoid Temptation Hang Outs – Some may disagree, and feel as though they are capable & strong-willed enough to do this. However, hanging out with friends at bars, restaurants, or at parties while doing the master cleanse diet can be detrimental to finishing. Keep in mind that by visiting places where food and alcohol are present, this will only provoke you. Once you break the cleanse prematurely you will only have regrets. You may also be in pain, since a cleanse should be gradually eased out of, not impulsively broken. The digestive tract requires time to adjust to solid food after a liquid fast. 9. Start the Cleansing Process on the Right Day – Make sure that you start the master cleanse diet on a day that works best for you and your schedule. Some people prefer to start the cleanse on a Friday — assuming they work on Monday, so they have several days to stay at home making the transition period easier and less stressful. Others prefer to begin the diet on a day when they work because it keeps them preoccupied and they think about food less. Remember, the first few days can often be the biggest challenge, so finding the right day to begin is crucial. 10. Blog or Keep a Journal – Writing about your daily feelings while cleansing can aid in releasing pent up emotions. During a cleansing ritual, people can be prone to feeling things on a deeper level. It is also very helpful to write / blog in order to keep track of your progress. Each day you stick to the diet is another positive achievement you can mark down. You can keep track of your weight this way, as well, and divulge the changes your body is going through. This will enable you to look back on it after full completion of the cleanse. Many people are surprised at the courage and willpower that they have maintained by achieving their master cleanse resolution! It goes to show that most of us are stronger than we think. admin on What Can I Eat On The Lemonade Diet?